The Custard TV: Channel 4 announce new factual commissions. Channel 4 announce new factual commissions. 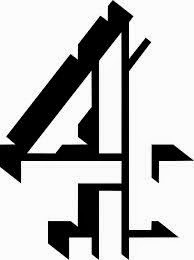 Channel 4’s Features team today announced a raft of new series commissions which will air from later in 2014 and into 2015. Lead by Head of Features and Daytime Gill Wilson, her team of Features commissioning editors – Nick Hornby, Lizi Wootton, Stef Wagstaffe and Alex Menzies – are adding eight brand new series to their slate. The series include Damned Designs, Sarah Beeny’s Clicks and Mortar, Charlie Luxton’s Shore Thing, Can Property Pay My Wages?, Inside Out Home, Fatonomics, The Shut-Ins and Frances Atkins’ Autumn Feasts. From the beauty parlour millionaire who turned his bungalow into a seven bedroom mansion with a shark-tank, to the eco-warriors who built a ‘Hobbit-house’ in the local woods, Damned Designs follows home owners who’ve fallen foul of the planning laws. In Sarah Beeny’s Clicks and Mortar (wt) Sarah Beeny joins two families as they take the “online plunge” choosing - like a rapidly growing number of people across the country - to sell their own house via an online website, instead of a high street estate agent. Charlie Luxton is on a quest to find the finest, quirkiest, most spectacular and truly unusual homes that can be found on Britain’s beautiful coastline in Charlie Luxton’s Shore Thing. He’s embarking on a mission to discover what makes the perfect seaside home, what challenges come along and what inspires the people who live in them and build them. In Can Property Pay My Wages? businessman and banker Dave Fishwick steps in to help ordinary Britons who have thrown their hats into the ring. He believes if they work hard and follow his advice, they can make the same amount from property as they would from their 9-5 jobs in the same period. As an investor and former builder himself, Dave will be offering up tricks of the trade and pointing out the pitfalls of developing to would-be developers as they find out if property really can pay their wages. For many people financial reward can be a huge motivating factor in their lives and new series Fatonomics will put this to the ultimate test to see if money can motivate the long term overweight to stick to a diet. Fronted by Dr Christian Jessen each week two contributors will be pitted against each other in a weight-loss challenge. Obesity is now one of the greatest public health crises sweeping the UK, with 2.5% of over 16’s now morbidly obese. But for some people it’s an issue that hits very close to home, as an increasingly large group of Brits are now unable to leave their homes due to their extreme weight gain. Many of them depend solely on their partners, parents or offspring to look after them, unable to take care of themselves sufficiently their family carers become a vital life-line and link to outside world. With lives on the brink The Shut-Ins will follow two such people and their loved ones, both of whom who are held hostage by a life devoted to food. Fixed rig cameras will be set up in their homes and a life-changing crack team including a GP, dietician, psychologist and bariatric surgeon will be enlisted to monitor both their relationships and their diets in a bid to turn everyone’s lives around. Never before have we been keener to couple the elements of fine dining with a hearty approach and there’s one woman helping to lead the way. She’s one of Britain’s finest Michelin-starred chefs, heading up the kitchen of the award-winning Yorke Arms and Channel 4 is set to follow just how Frances Atkins does it. Frances Atkins’ Autumn Feasts will film behind the scenes and front of house at the prized establishment in the Yorkshire Dales, observing staff, diners and the symbiotic relationship between the kitchen and the customer.